Happy Monday! Today's Street Merch is brought to you by Turner & Forrest, one of the cutest couples in all the South. Turner is one of my best friends from college. She lives in Atlanta and works for YoungLife and Forrest just moved to Birmingham to start a new job. 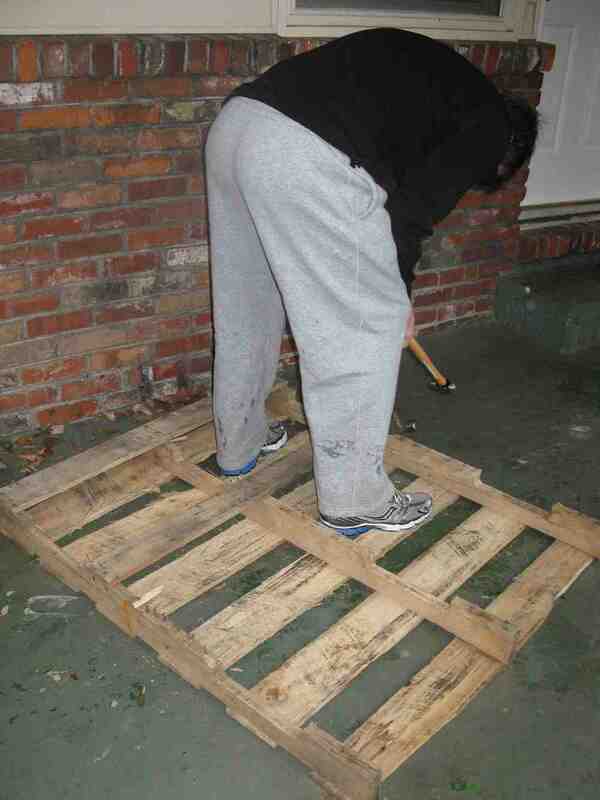 I'm yet to meet Forrest, but judging by our shared love for shipping pallets, I like him already. Pulled the cross sections off so he was left with equal sized planks. Really, Forrest should be telling us what he was doing in each of these pictures. I'm just making up what I can deduce from the pictures. ha. 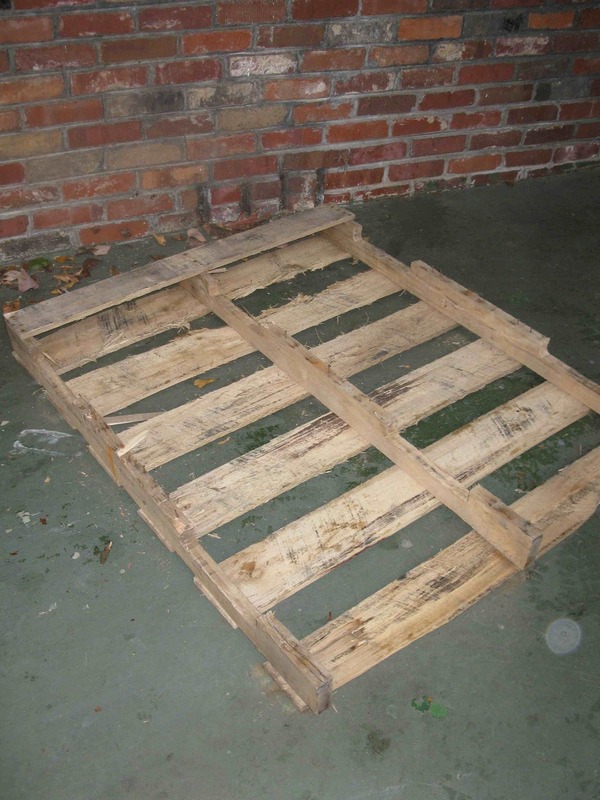 But it looks like he left the pallet frame work and laid the planks out accordingly. And assembled . . . The pre-painted finished result with the handy couple! Almost done painting . . .
And here it is in Forrest's room - bear with the iphone pic. I LOVE the rustic feel of the headboard matched with the Restoration Hardware like paint. Perfect and resourceful for a boys room. Thanks for letting me share in the project Forrest and Turn!